We are excited to announce the 8th International Symposium on Travel Demand Management (TDM), which will be held in Taipei, Taiwan, September 26 – 29, 2017. This conference seeks to link the international communities of researchers, practitioners, and decision-makers who are concerned about or experienced in the theory and implementation of TDM. Within the intensive two-day discussion and opinion exchange, we are looking forward to the spark of innovative and visionary ideas that inspire the present and future direction of TDM, on both academic and industrial tracks. This is the second time that this renowned conference comes to Asia, after the 2013 TDM symposium in Dalian, China. We would like to propose the theme of “Land Use and Travel Demand” for TDM 2017, to explore the TDM problem from its basics and highlight the characteristics of mixed land-use patterns in Asian cities. Additionally, any research interests of TDM-related aspects are fully welcome as well. The symposium will be held in the late September of Taiwan, around the mid-autumn, the most pleasant season of the island that welcomes her visitors with very unique natural beauty and local culture. This event promises to bring together the domestic and international TDM research community to brainstorm ideas for present and future of TDM practice for improved mobility. As this is the second time that the event is held in Asia, one of the major focuses for discussion is related to the challenges and opportunities of TDM in Asian emerging economies. Facing rapid urbanization and economic development, how to efficiently address the induced traffic growth and emission? Can the experience from the developed countries be applied to emerging Asia? Will the differences of culture and social structure be the obstacle or helping hand for TDM? Innovative concepts, rigorous research, and proactive practices have instilled unprecedented energy and momentum into Travel Demand Management (TDM) around the world in recent years for fostering greener and healthier mobility. The 8th International Symposium on Travel Demand Management provides more than two days of intellectual exchange, best practice sharing and networking with leading TDM researchers and professionals. New invigorating energy in TDM is propelled by innovative strategies and concepts that offer more efficient temporal and spatial utilization of transportation system capacity and resources. 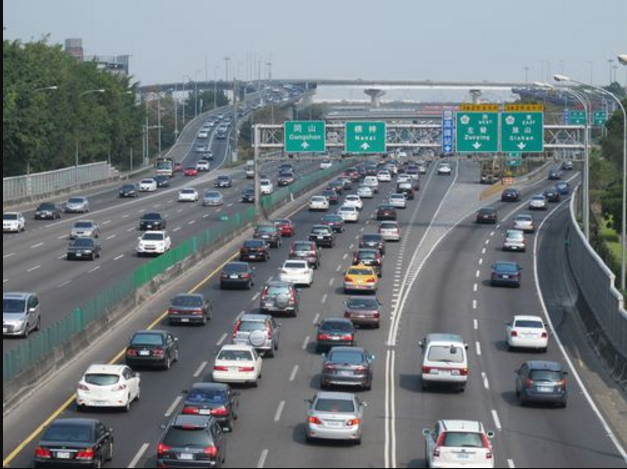 Existing widely used congestion roadway/parking pricing strategies aim to spread the peak hour demand through user fees, while complementary incentive-based approaches also appear to be effective and promising. The concept of shared-use mobility improves the utilization of roadway capacity by dynamically increasing the occupancy of vehicles or by improving the availability of various modes through sharing mechanisms. The concept of total streets focuses on proving the needed infrastructure re-design or conversion for multi-modal transportation. Travel plans and trip reduction ordinances are promoting financial and behavioral incentives in new and existing developments. While all these concepts and strategies appeal to a niche market, the general commuting public is starting to explore and embrace non-traditional commuting options and become less reliant on traditional transportation modes and means. The lessons learned from applying these various concepts and strategies to trigger and anchor commuter behavior change has also generated greater interest in behavior economics. YouBike (Ubike) was launched by the department of transportation, Taipei city government in 2009. The concept of Ubike is an urban bike lane network. The commuters are encouraged to use low-pollution and low-energy consumption bike for transportation. YouBike adopts an electronic unmanned automated management system to provide “A Leases B returns” bike rental service. Users can easily tap-on tap-off the Easycard to rent the bike. There are 326 rental stations with over 18 million bike usage rates in Taipei city. Now, YouBike combines the leisure and entertainment features which benefit citizens and tourists to explore the beauty of Taipei. Taipei Intermodal Station, located near Taipei Main (Train) Station, is the major hub of the transportation system in Taipei, connecting the services of freeway (inter-city) bus, traditional rail, high-speed rail, Taipei metro and airport metro. By integrating the routes, timetables, and ticketing systems, it enables convenient and high-quality transfer experience to passengers and provides fare discount as the incentive to encourage people to use public transport. It re-shapes the center of Taipei with multiple facets, from business, culture, history, entertainment, fine food, and even religion. Taipei sightseeing has been operated in 2017. The brand-new sightseeing tour with double-decker bus offers travelers to experience Taipei city. To build the smart bus in the smart city, Taipei sightseeing bus combines with the flow detection system, supported by Intel. Travelers can easily Hop-on Hop-off and use app to check available seats in real time. The app system also offers the audio tour in English, Japanese, Korean and Chinese. By the lively display and interactive experience, it seeks to achieve the educationalpurpose for traffic safety improvement. Electronic Toll Collection System (ETC System) was built by Far Eastern Electronic Toll Collection Co. (FETC) for the island-wide freeway. FETC is responsible for both front-end and back-end operation/maintenance of the ETC system as well. The ETC usage rate had accelerated from 43% to 97% during 2012-2014. The system is compatible with both IR DSRC and RFID, which are coexisting for current operation. This is also the largest system using RFID technology for the freeway ETC tolling of a whole nation. Last year, Taiwan ETC is the winner of 2016 IRF Global Road Achievement Awards. Currently, more than 7 million users in Taiwan benefit from the ETC with over 6 billion accumulated transactions every year. This entry was posted in 2017, Behaviour, Conferences, Congestion, Event and tagged * Better Choices, * Strategies, * TDM Primer, *ClimateActionPlan, 2017, DemandManagement, Event, ITS, Technology, Traffic. Bookmark the permalink.